Francesco (Frank) Cali was the kind of mobster who wasn't supposed to exist anymore: Old school, shunning even the telephone; not prone to violence, meaning he wasn't buffered by the fear factor created by bosses like John Gotti. In fact, Cali reached capo at such a relatively young age (in his 30s) that it rankled some Gambino wiseguys, and caused at least one to refer to him derisively during a wiretapped phone call. On another wiretapped call, however, a gangster speaking in Italian seemed to pay Cali the ultimate complement by referring to him as "tutto quanto" or "everything." The New York mobster with Sicilian blood had been arrested and convicted only once. Amazingly, he wasn't brought down after mistakenly allowing a confidential informant into his inner circle. 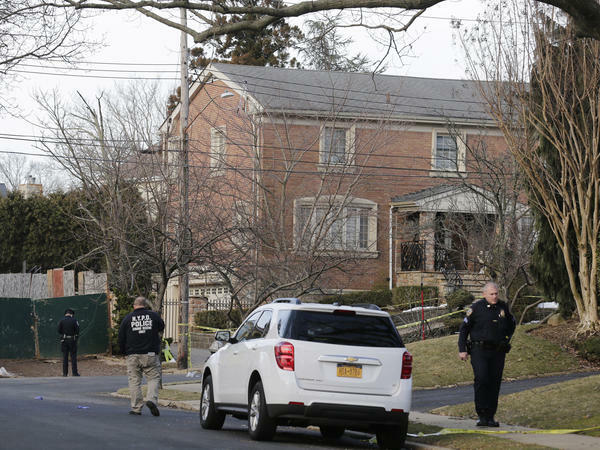 Cali, a reputed leader of the Gambino crime family, was shot to death outside his house in Staten Island in a killing that echoed Mafia murders of the 1980s, but that seems to be shaking out as nothing of the sort. Cali was a savvy earner who allegedly extorted, ran phone cards, and operated Joker Poker video gambling machines, among other things. He was possibly part of a massive Italian-American drug trafficking pipeline constructed via an alliance with the Sicilian Cosa Nostra and the Ndrangheta. While Cali was low profile, he didn't duck to avoid public events. It was as if he had learned from the mistakes of former Gambino boss Paul Castellano, who signed his own death warrant by not showing up at the funeral of his underboss, Aniello (Neil) Dellacroce. Law enforcement spotted Cali at Gambino family functions going as far back as the 1990s. He hosted at least one Christmas party (in 2007) for his criminal cohorts. Franky Boy married Pietro Inzerillo's sister, Rosaria (called "Roseanne"), who is related to the Inzerillo crime family based in Passo di Rigano. Roseanne and her brother, Tall Pete, were both born in New York City, however. Cali was made in January 1997, according to "a very reliable FBI source" we spoke to who added that Cali was placed in Jackie "Nose" D'Amico's crew. READ Neil Dellacroce Plotted to Overthrow Carlo Gambino? FBI documents name Cali as a major Mafia figure in an investigation of "the continuing strengthening of ties in US territory - in particular with members of the Inzerillo-Gambino American mafia family. These ties are likely to be related to illicit trafficking across the Atlantic between the new generations of the American and Sicilian Cosa Nostra." A November 2007 report by Palermo's Antimafia District Attorney's Office, which referenced and included extracts from FBI documents, noted: "The gathering of evidence in police operations code-named 'Grande Mandamento' (Big District) and 'Gothà' have underlined connections between the American Mafia and the Sicilian Mafia." The key families under the spotlight were both the Gambino crime family and the Sicilian Inzerillo Mafia clan, which was nearly exterminated in a Mafia war sparked by the Corleonesi. 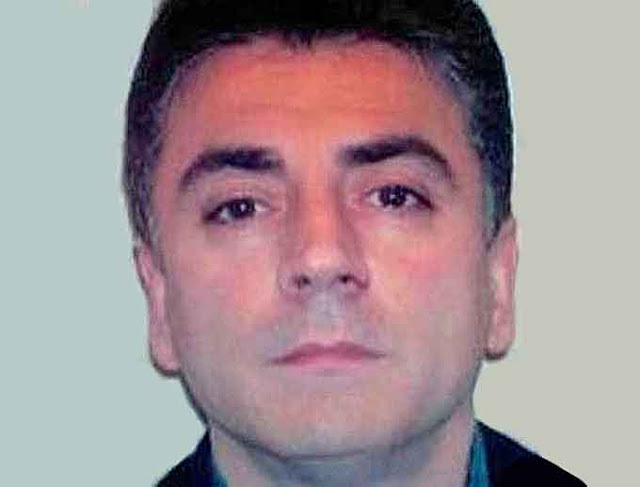 In 2003-2004. the Inzerillo and Gambino families formed an alliance that involved a "complex dispute" regarding the return of Inzerillo Cosa Nostra family members to Palermo from the U.S. Law enforcement also believed narcotics trafficking was on the agenda. The report documents "trips to the USA carried out by numerous mafia members from Palermo between the end of 2003 and the beginning of 2004..."
Cali rose to prominence, as did many others, following the flipping of Sammy the Bull Gravano, who put away around 100 gangsters, many from the Gambino family, creating a huge vacuum on the street. In September of 1992, capo John Gambino hightailed it out of New York with his brother. They both faced heroin smuggling charges and had disappeared, though they were caught not long after. With Gambino gone, then -Gambino boss John Gotti needed a new overseer on 18th Avenue, a Gambino stronghold in Bensonhurst, Brooklyn. Former Gambino capo Michael DiLeonardo and D'Amico were put in charge of 18th Avenue. Eighteenth Avenue, specifically from 75th Street on down, was rife with Sicilians, some of whom were made members of the Gambino family. An assortment of them, however, belonged to the Sicilian Cosa Nostra, mainly the Inzerillo family who'd fled the murderous Toto Riina and his Corleonesi. Dual memberships were not allowed. Those seeking to be made in America needed to be "released" from their Sicilian crime family. Among other things, DiLeonardo found himself dealing with the issues of the Sicilian mobsters on 18th Avenue. He used Cali as his go-between. The new generation of mobsters, which included Cali (then an associate), went into the cafe business as well as import/export. They also owned the pizzerias and bakeries. The Gambinos also were able to take effective control of a huge revenue generator as well: Brooklyn's feast of Santa Rosalia, Palermo's patron saint. The September feast, beginning in August, brings large numbers of visitors annually to Brooklyn's Bensonhurst section. Eventually, Jackie brought Frank Cali into phone cards, where Cali made a name for himself as an earner. Around that time, the phone-card industry had mushroomed into a $2 billion annual business. Cali was "swiftly" promoted to acting capo less than a decade later, according to a prosecutor's verbiage during a 2008 detention hearing involving Cali, who’d been arrested for extortion. Not everyone was a fan of Cali's swift rise to prominence within the Gambinos. Gambino soldier Joey Orlando was overheard complaining about Cali on a wiretapped call disclosed at the hearing. By 2014, the “kid” rose to become the family’s underboss under Domenico Cefalu. Prosecutors said Cali used his connections in Italy to import members and associates into his crew. He also held “influence and power” in Sicily. Law enforcement spotted Cali at Gambino family events as early as 1990, when he was in his 20s. He was seen attending the wake of John Gotti, who died of cancer in 2002 after a decade in prison, and at several other Gambino wakes over the years. Cali also was seen throwing a Christmas party in 2007 that included among its guests Jackie D’Amico. Cali was nabbed in 2008 for extortion in what was described as "a small part of a much broader indictment" that charged dozens of Gambino family members, associates, and others with a range of crimes. The larger federal indictment charged 62 defendants, including the three highest-ranking members of the Gambino family. A separate state investigation resulted in charges against 26 others accused of operating a gambling ring in Queens that took in nearly $10 million in bets on professional and college sports. Those indicted in the larger case were charged with crimes spanning three decades. Cali's extortion case involved a failed attempt to build a NASCAR track in Staten Island. The Gambino family controlled the trucking operation that would have hauled the dirt to fill the track’s foundation. The most recent alleged crimes dated back only a few years previous to the indictment, and included charges related to drug dealing, credit fraud conspiracies and theft of union benefits. The indictment also alleged that Gambino associates extorted people in the construction industry, embezzled from labor unions, and engaged in illegal loansharking and bookmaking. Many of the charges related to the activities of a Staten Island cement business. Prosecutors alleged that mob figures extorted the owner for money and jobs, and interfered with several of his business ventures, including the proposed NASCAR track on Staten Island. In 2006, the cement entity was forced to pay extortion to mobsters to prepare the race track site for construction, court papers said. The project was abandoned, however, before the track could be built. As part of the scheme, mobsters allegedly forced "John Doe No. 4" to give $9,000 to two workers affiliated with International Speedway Corp., the builder of the racetrack. The men had since quit their jobs, and the indictment was "not directed at ISC, any of its subsidiaries, or any of its current employees." The New York case coincided with multiple raids in Italy that targeted alleged members of Mafia families who controlled drug trafficking between Italy and the U.S. The investigations were not connected, though they were part of an international effort to disrupt Gambino-Sicilian drug trafficking operations. The federal indictment included gangland killings from when Paul Castellano was still boss. He was assassinated in 1985. Three of the seven murders involved victims who weren't criminals. It accused reputed Gambino soldier Charles Carneglia with involvement in five killings over three decades, including that of Albert Gelb, a state court officer who was gunned down in 1976. Gelb was assassinated in retaliation for making an off-duty arrest of Carneglia after he spotted him in a restaurant wearing a gun. Defense attorney Joseph Corozzo Jr., represented his father, alleged Gambino consigliere Joseph Corozzo. As for Cali, he pleaded guilty and was sentenced to 16 months in prison. Prosecutors in that case said Cali — then a captain— committed other crimes for which he was never charged. These included the installation of Joker Poker video machines in a cafe in Bensonhurst, Brooklyn; Cali split the profits with the cafe’s owners, minus a 10 percent cut for the Gambino family, according to the memo from the 2008 detention hearing. Cali also pocketed a percentage of the proceeds from the feast of Santa Rosalia. Also, as we detailed, in the mid-1990s, he was involved in a racket that involved selling phone cards. In 2014, federal prosecutors named Cali as an associate of Franco Lupoi, a Brooklyn baker suspected of playing a role in a heroin pipeline from Italy to the United States. The case attracted significant attention because it suggest that the ’Ndrangheta (pronounced n-DRANG-gay-tah), one of the world's most powerful drug trafficking cartels, was seeking to expand to New York. Cali had substantial real estate holdings in the Dominican Republic, where he sometimes vacationed. He owned a business that imported tomato sauce, olive oil and mineral water, and opened a large fruit store in Brooklyn, and later an Italian supermarket. Cali largely avoided detection by installing buffers around himself, as per law enforcement. Captains were not allowed to speak to him directly, and he never spoke business on the phone; Cali preferred meeting face to face. Cali was a Mafia anomoly: he rose to the top without fashioning a violent reputation.